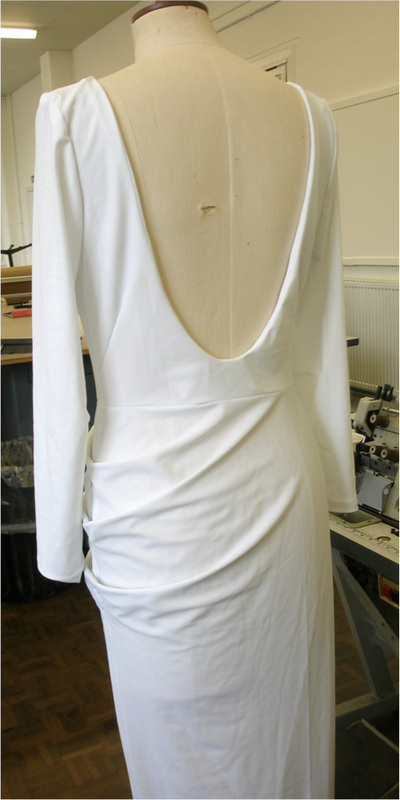 Sew your own Club to Catwalk inspired dress, originally designed in 1984 by fashion designer and former V&A artist in residence Juliana Sissons. 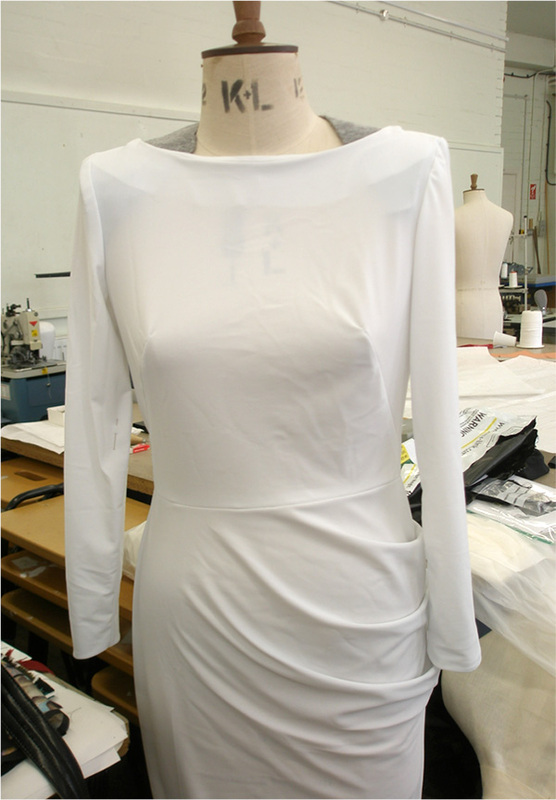 The Scarlett Dress, a hobble dress with 3/4 length sleeves and a low back, was originally designed and made for the 21st Birthday present of Scarlett Cannon, club host of the Cha Cha’s night at Heaven night club. It has been widely photographed and featured in numerous magazines throughout the 1980’s. The dress was worn to celebrate Scarlett’s birthday at two parties: firstly at the Slum it in Style club night at the Camden Palace hosted by Steve Strange and Rusty Egan and secondly at a private party held for her at Bolts night club in North London. In 1982, Juliana had her own fashion outlet, Call me Madam, it was situated within Heaven nightclub, Charing Cross Road, London. Her shop was frequented by ‘club kids’ from Cha Cha’s and the Asylum night and was open every Thursday evening. Designs sold to socialites, artists, dancers, fire-eaters and drag queens. The shop became a hub of activity, a meeting place and a private party room for friends to hang out. It looked like a glorious dressing up box, with vintage glass cabinets displaying tiaras, false eyelashes and evening gloves. The rails were filled with one off items from elaborate ‘glamour’ dresses and corsets to accessories such as black feather boas and pink plastic rain caps. 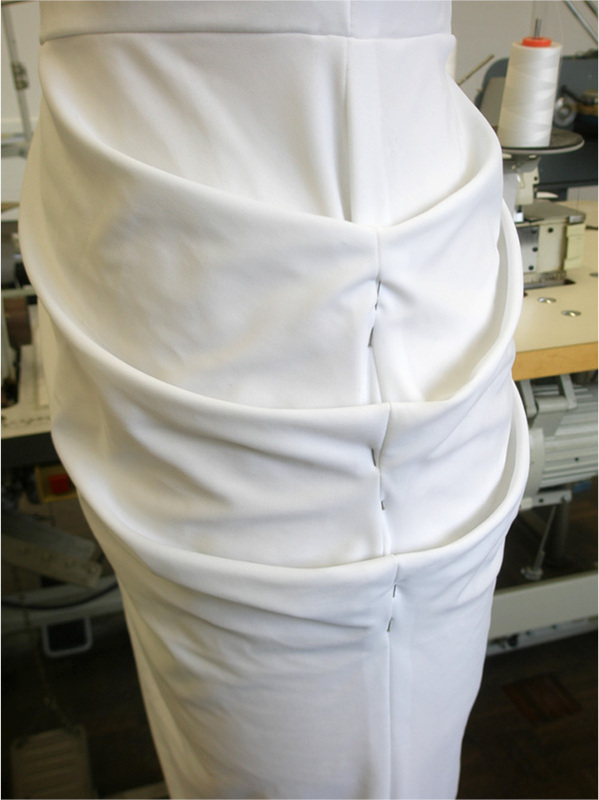 Recreating the dress in white Lycra.